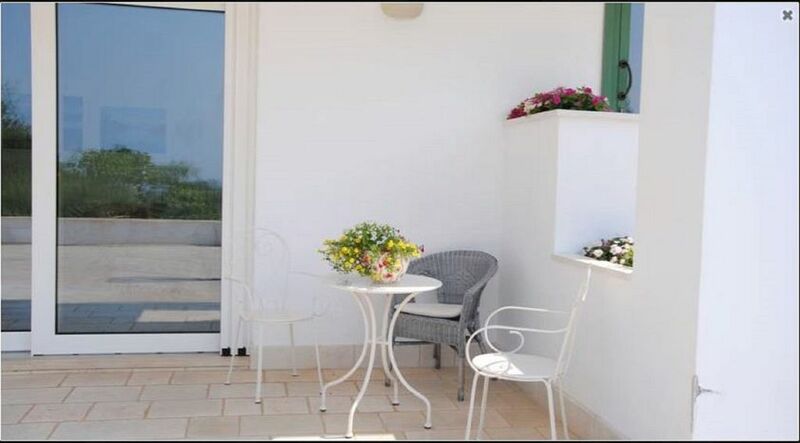 villa immersed in the olive grove with lovely sea views, 4 km from the historic center of Ostuni. composed of a large living room, fully equipped kitchen (dishwasher, electric oven, micro wave ...), 4 bedrooms with 4 bathrooms, sleeps 10/11, 4000 sqm garden, private parking private parking, large terrace, barbecue, oven a wood. The whole house is equipped with heating, air conditioning and flat screen tv in every room and lounge. Strategic location to reach the most famous tourist, artistic and gastronomic sites: Lecce, Alberobello, Castellana Grotte, Polignano a Mare, Ceglie Messapica, Cisternino, Fasano safari zoo, Torre Guaceto natural park. Distance from Brindisi Airport 20 ".